Monday Morning Munch No. 140 – Do you resist good things? I do. That’s what I learned about myself this week. For real. And, yes, it’s as ridiculous as it sounds. It goes back to what I’m finding a lot of things in my life go back to: fear. I’m afraid I’ll love things too much (more than God). I’m afraid I’ll love people too much and then God will take them away from me because I love them more than Him. I’m afraid I’ll find too much pleasure in things that aren’t eternal and somehow dishonor God because if I were really following Him I wouldn’t even desire any of these “lesser” things. The low-grade guilt over enjoying good things is real. 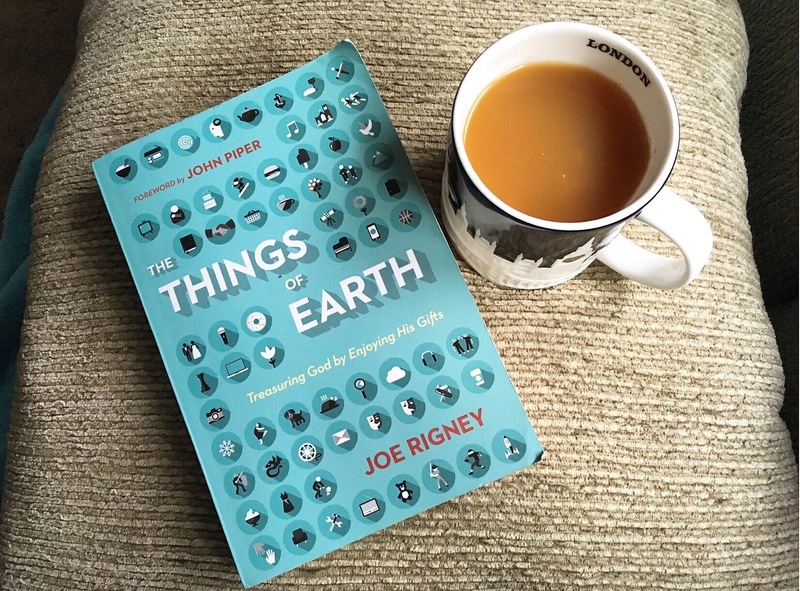 But I didn’t fully realize it until I started reading The Things of Earth by Joe Rigney. Hear me when I say this: This book is phenomenal. Buy this book. Read it. Slowly digest it. I’d loan you my copy but it’s pretty much highlighted and annotated past the point of legibility. This book uses the Gospel to address the low-grade guilt that sometimes flares up in us and, oh my goodness, LET FREEDOM RING. There is so much freedom in the Gospel, you guys. Given the persistence of this threat to true worship of God, one way to address idolatry is to seek to thin out creation, to hold it loosely like a hot potato, and to be wary of its delights and pleasures. We recognize the potency of God’s gifts, so we tread lightly, sticking to the shallows and refusing to plunge into the ocean of earthly pleasures. To pursue holiness by stiff-arming created pleasures appears wise. Ascetic religion and severity to the body may impress lots of people. But their value in promoting godliness is null. The reason should be obvious: sin is not in the stuff. Sin resides in human hearts, and thinning out creation just makes us thin idolaters. We exchange indulgent sins for ascetic ones, but rearranging the deck chairs on the Titanic doesn’t alter the ship’s path. That last paragraph. That last sentence. Oh my word. Yes. Does this resonate with you? Do you ever find yourself holding good things at arm’s length for fear of committing idolatry? What are some of the things you might be resisting, not because of a personal conviction but because of fear? I’ll be sharing more from The Things of Earth in the days to come, but in the mean time you should pick up your own copy and work through it. It’s just so good. This entry was posted in Monday Morning Munch, the things of earth. Tagged Christian Living, creation, fear, freedom, gifts, God, goodness, Gospel, holiness, Jesus, joe rigney, the things of earth, theology, truth.